Heat oven to 350°F. 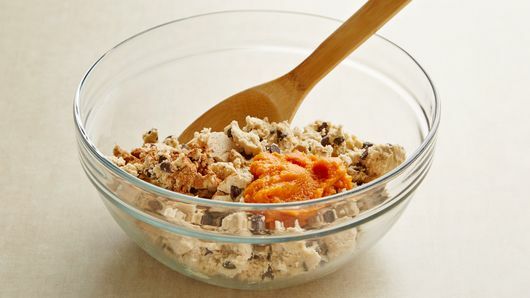 In large bowl, break cookie dough into small chunks. Add pumpkin and pumpkin pie spice; stir with wooden spoon until well mixed. Shape into 1 1/4-inch balls; place 2 inches apart on 2 ungreased cookie sheets. 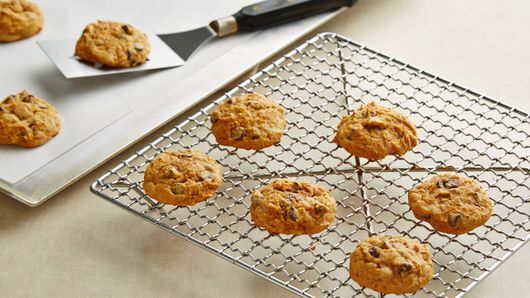 Bake 14 to 16 minutes or until cookies spring back when touched in center. Cool on pan 5 minutes; remove to cooling rack to cool completely, about 30 minutes. Sprinkle with powdered sugar. 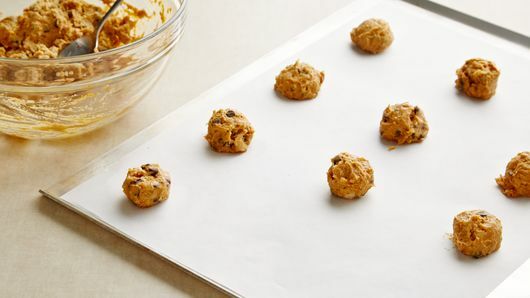 For larger cookies, roll into 2-inch balls, and adjust bake time as needed. 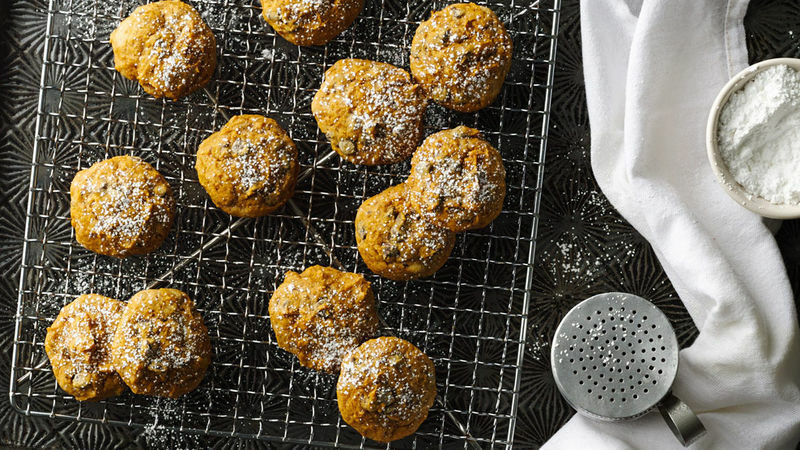 Sprinkle cookies with powdered sugar.